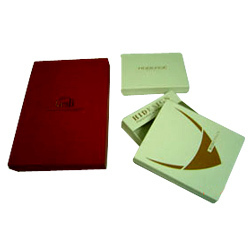 Supplier & Manufacturer of Paper Gift Boxes & Decorative Paper Gift Boxes. Our product range also comprises of Paper Boxes, Potpourri Boxes and Chocolate Boxes. We are manufacturer and supplier of Paper Gift Boxes in Chennai, Tamilnadu. We are offering our clients with Paper Gift Boxes meant for various occasions. These boxes are ideal for colored paper shred or colored tissue used for wrapping. We stringently test these on crucial parameters and are offered to the clients in customized designs, sizes, colors and shapes depending on the client’s requirements.